It's that time of year again, for you and me to have a quickie together! We've waited all year for this moment and it's finally arrived! There are two dates and two locations available again this year. 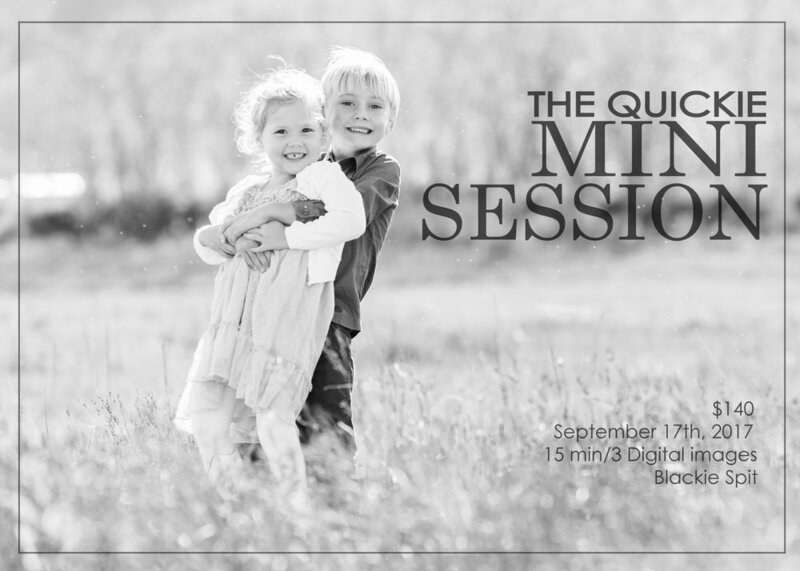 These sessions are fast paced and are way more portrait influenced for updated "grandma" shots! Please read all the details below BEFORE you stock my inbox with your requests, no skimming allowed people! lol. ALL REQUESTS MUST BE MADE THROUGH dina@klutchphotography.com. I can not guarantee a spot for you if you text me, facebook me or call me. I'm looking forward to seeing you all this fall... so here we go! * a 15-minute session for a family of four (extra people can be added for $25 per additional person). Sadly after September pets are not permitted in this location, if this has changed I will let you all know. * two-week turnaround on proofing galleries. Btw- if I'm sold ou, ask to be put on the waiting list! * a 15- minute session for a family of four (extra people can be added for $25 per additional person/pet). Disclaimer: I'm not responsible for any EXCESSIVE fun, real smiles, kids not wanting to leave, laughter or any good times had. Just so we are clear. Need more persuading, check out some of the 2016 quickie particpants! If you missed out on the quickies this year become a Klutch Photography blog subscriber and next year you'll be the first to receive the date and times before the general public does!